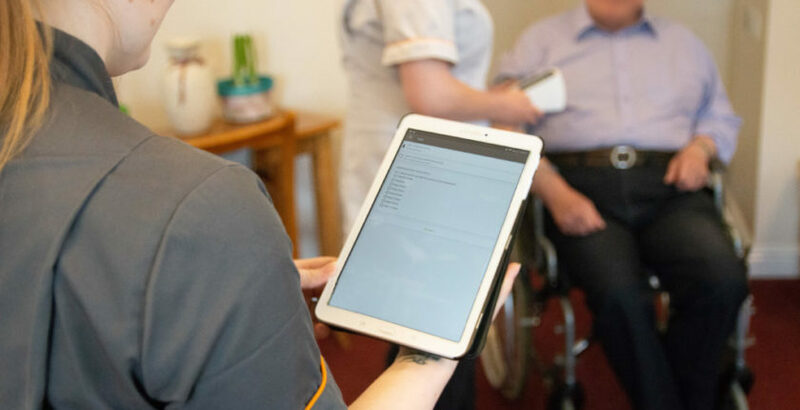 Care home staff and NHS nurses are working together in a digital pilot designed to improve the quality of life of residents and reduce hospital admissions in Sheffield. The Digital Care Home pilot is one of seven test beds across the country funded by NHS England and the Department of Health. Under the project, which uses technology provided by Inhealthcare, carers monitor a resident’s vital signs, including respiration rate, oxygen saturation, temperature, blood pressure, heart rate and level of consciousness. The information is shared with NHS nurses who provide clinical assessment and support, including prioritised GP visits, increased resident monitoring, medication reviews, or community nurse home visits. The service has been trialled in seven care homes in Sheffield with 70 residents taking part. To date, over 35 care home workers have been trained to use the new technology. Amanda Fields, manager at HC-One’s Alexander Court, one of the participating homes, said: “The service enables us to identify somebody who might be starting to become unwell earlier on rather than waiting for the usual symptoms to appear.